It is a well-known custom to assess after the first 100 days in a new position what has been achieved, and what still needs to be done. In keeping with this custom, I would like to present some of my findings as the new Director General of the European Space Agency ESA. There have been a lot of positive things happening such as the interaction inside ESA and with our Member States, as well as with industrial and scientific institutions. 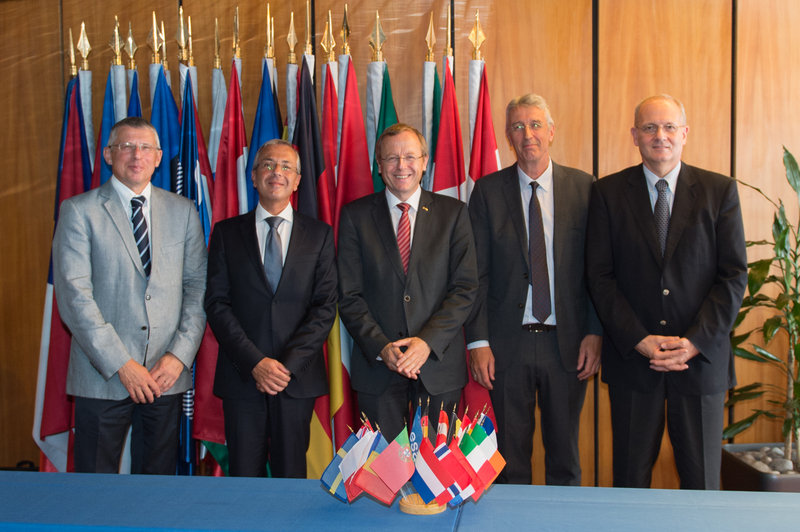 I was able to witness important steps like the signing events for the Ariane 6 and Vega C launchers, Neosat and MetOp Second Generation satellites. In addition, I was able to implement some of my organisational ideas such as the positioning of the Directorates in 5 areas and having entities reporting directly to me. The process of defining key responsibilities is on-going, the shortlists for eight Director posts have been decided and for the additional open positions clarification is on its way. In parallel, the work on content is proceeding quite well: we started the preparation of ESA’s 2016 Council at ministerial level with internal and external discussions, looking for the right ideas to finally put in the DG’s proposal. We held the first ‘jam session’, devoted to migration and the role space can play in tackling this very special challenge. The contribution of ESA staff and contractors to this exercise was extremely valuable. Education, employment, climate change and crisis management: just some of the topics discussed during the first jam session, held on 5 October 2015. Over 100 people joined the meeting from all over ESA, exploring ways in which ESA’s programmes can help address the pressing issue of migration. Image credit: ESA, Stephane Corvaja. 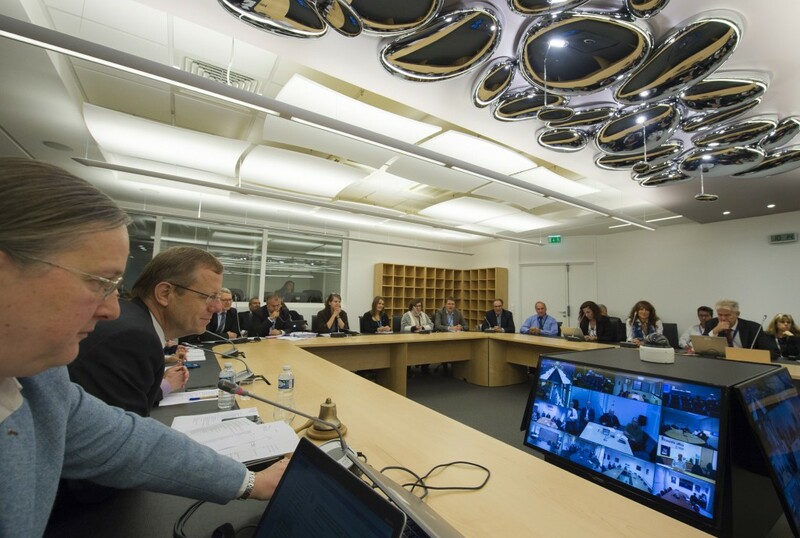 I was able to visit several of the ESA sites, hold discussions with staff and contractors and exchanges with ESA Member States as well as with representatives of the European Commission. 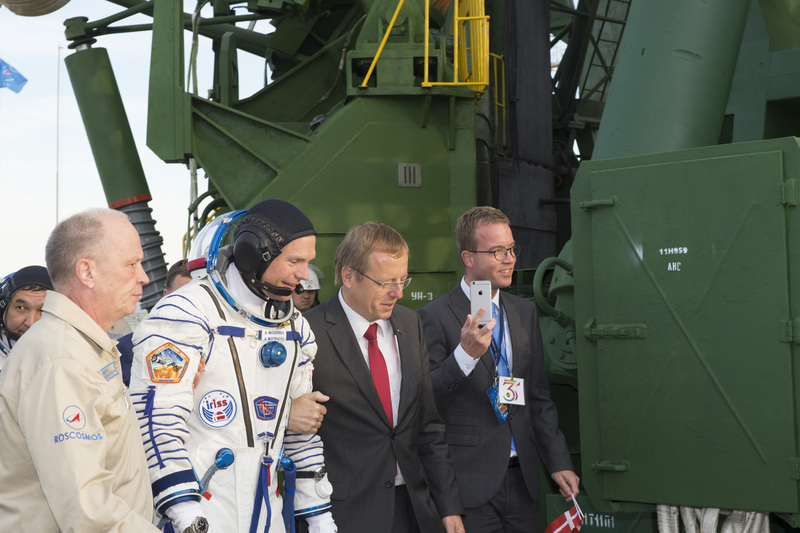 Attending launches in Baikonur and Kourou, I was able to witness for myself space dreams becoming reality. I was able to meet with partners, politicians and citizens in Europe and internationally to discuss the current situation and future perspectives. 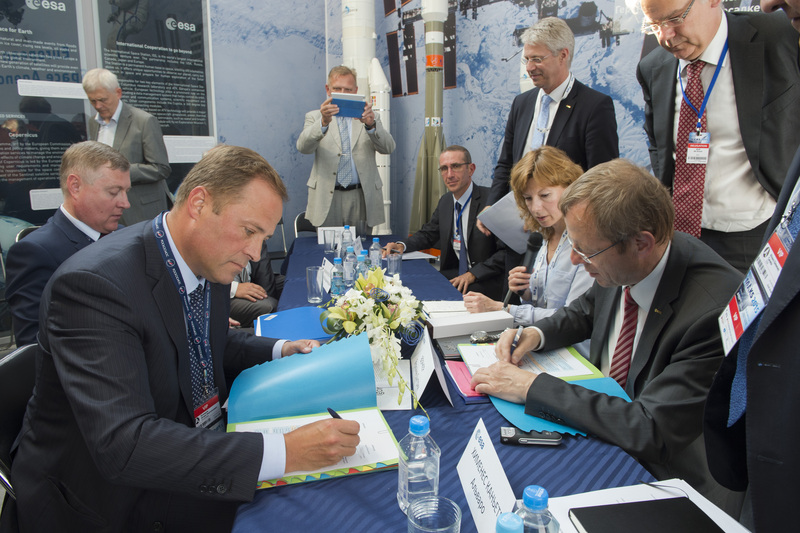 Signature by ESA and Roscosmos of the update of responsibility matrix on ExoMars launch. Image credit: ESA, Stephane Corvaja. 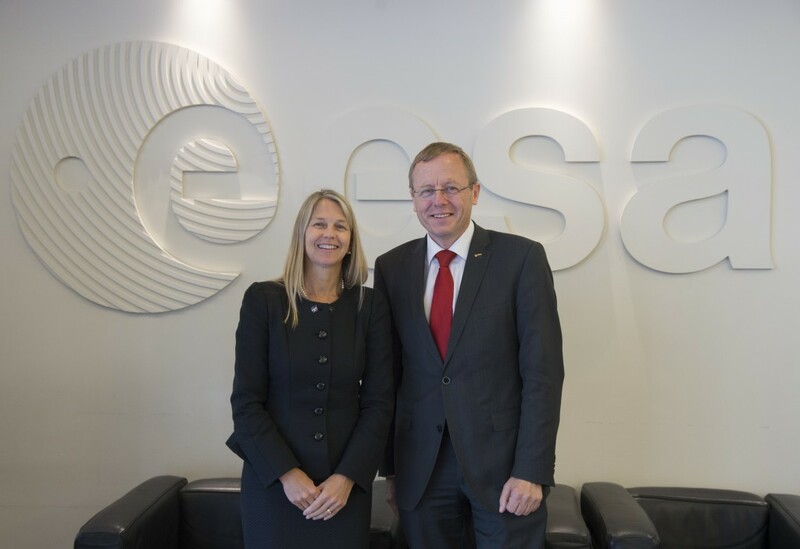 The first official visit of Dava Newman, NASA’s new Deputy Administrator, with Jan Woerner, ESA Director General, took place on 8 September 2015, at ESA’s headquarters in Paris, France. Image credit: ESA, Stephane Corvaja. However, there are some other issues which are not so amusing and require extensive efforts: one is the overall financial situation of ESA, where we have to balance needs and possibilities. It is clear that, especially in these days with Europe facing the major challenge of migration, it is rather difficult to convince our stake- and shareholders of the necessity to invest further in space. Besides all the direct arguments about the benefits for citizens and society, the very special aspect of space’s ability to inspire is of major importance: It is crucial for our society that the young are convinced that individual dreams have a chance of becoming reality through personal efforts. The future has to be developed by the young generation, but it is our task to make this possible. As Antoine de Saint-Exupéry said, “Your task is not to foresee the future, but to enable it”. Interaction with people at ESA, as well as with external contacts, has shown me that we really have an opportunity to proceed along these lines, looking to “United Space in Europe” as our motto and guiding light. Despite the concerns about space funding everywhere in these challenging times, NASA has opened a new door with its recently published ‘Journey to Mars’ report and outline plan. Mars is the name of the game, and it is to be hoped that ESA will respond with its own vision for human exploration to Mars. Mars is the next big step. while having begun the blog with a recount of how the administrative overhead is being enlarged by new directors (and assumably their new PA’s and yet further staff), is worth looking at. the gloomy oracle of reduced funding vs. enlarging the administrative overhead as your first act in office. I’m not going to ask you to revoke your decisions if alternatives can indeed be envisioned. Only to open your mind again to inventive administration. So that future decisions might be touched by that freedom. Just assume for a minute these new directors were not necessary to get done what’s in their job description. What are the new directors supposed to achieve? And by which other means could those goals be met?